Once you’ve signed the promissory note for your student loan and you’re off to the races, what’s next? Who do you turn to if you have questions about your loan? Many borrowers view their servicer – the company that will be taking your loan payments – as a faceless entity that simply sends statements, but a good servicer is much more. Good servicers have every incentive to help you be successful. They want to assist by providing information, guidance and even options if you have problems with your loan. We asked the servicer with which Meritize partners, the Higher Education Servicing Corporation (or “HESC”), for their advice on working with student loan servicers. Here are a few of the most common questions they deal with to help you when navigating similar waters in your own student loan journey. A good servicer not only knows the date you’ll complete your program, but they know precisely, to the day, when you’ll need to start making payments. While you’ll receive letters from your servicer a few months in advance of this date, don’t wait until the last minute to nail this down when you’ll have other things on your mind, like moving to a new town or landing that first job interview. You should contact your servicer well in advance – at least a few months – of your graduation date to learn more. Make sure you have in writing the payment due dates and amounts so there is no misunderstanding on your part. While your first servicing letters and statements may come via mail, that doesn’t mean you need to haul out the old checkbook or hunt down that last stamp every time you make a payment. Most lenders offer a variety of payment options, including online and pay-by-phone, all of which they’ll gladly walk you through when you reach out. Don’t wait until after you’ve moved to contact your servicer. Most prefer to work with you before you move to ensure there’s absolutely no confusion for you or them. Before you start packing up the boxes and loading up the van, reach out to your servicer to bring them up to speed on where you’re headed and when you’ll get there.In today’s digital age, most servicers use a variety of tools to communicate with you and let you communicate with them – from physical mail, to phone calls, to texts, to emails and online tools, including change of address updates. You should contact your servicer if you intend to change any of your primary contact information – from your mobile phone number to the email address you check most often and, of course, your physical home address. There may come times in your life when making payments on loans (student loans or otherwise) may be difficult. Maybe you’ve lost a job, or a family member needs urgent medical care. Maybe you live in an area impacted by a natural disaster. Or maybe money is simply tight and you need help thinking through your options.Don’t panic, and don’t wait – call or contact your servicer immediately. While it may seem counterintuitive to ask the company sending you statements for assistance, a good servicer has every incentive to help you through the tough times. Oftentimes, your servicer will have a number of valuable options they can make available to you, from alternative repayment plans to temporary payment suspensions, that will provide some much-needed relief as you get back on your feet. 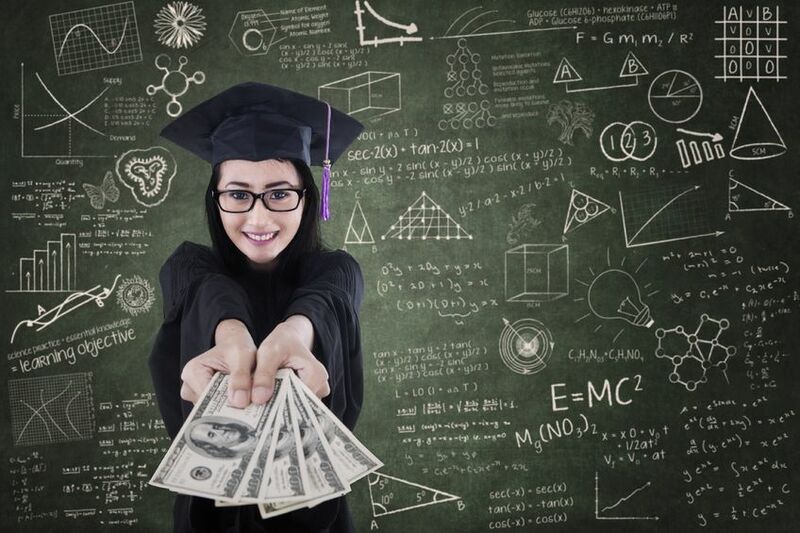 If you decide to go back to school for a graduate degree or to complete your bachelor’s degree if you stopped short, you should reach out to your servicer to see what payment options might be available to you. Many lenders offer some sort of payment reduction plan or consolidation option if you go back to school. The key is to keep them updated with your plans so they can work with you on the best solution for your loan amounts and timing of your continued education. The above is true for other life changes as well. If you’re in the military and are about to be deployed, for instance, let your servicer know – there may be payment reduction or suspension options available to you. In addition to working with you for successful student loan repayment, a good servicer can also offer basic financial assistance. Have you received a debt consolidation solicitation and want to talk it through with an expert? Maybe you’ve gotten a phone call or letter about a debt relief offer that sounds too good to be true? Or you’re simply eyeing that next big purchase and want to understand your remaining student loan payments so that you can plan for your dream item. A good servicer can walk through all of this and more to help you be financially successful. Paying your student loan is no joke, but there is a punch line here: Whatever your situation, whatever your question, communicate, communicate, communicate with your servicer when you need assistance with your student loan. Get to know them, and, if they’re one of the good guys, they will be ready and willing to help you to ensure smooth sailing for your student loan.